The foundation is the most important part of any building. Begin construction on your dreams today–learn how to Build Your Financial Foundation! Never try to build a house without first laying a foundation. I don’t care how eager you are to get it finished, how excited you are about filling it with furniture and decorating it all just right—take the time to put down a solid foundation first. If you don’t, that house will be so unstable it will soon come tumbling down. That’s simple advice, isn’t it? Anyone with any sense at all knows it. Yet in the spiritual realm, people make that mistake all the time. They see a blessing God has promised them in His Word, and they are so eager to have it, they ignore the foundational basics of godly living and pursue just that one thing. That’s especially true in the area of prosperity. Often, people are so desperate for a quick financial fix, they just pull a few prosperity promises out of the Bible and try to believe them—without allowing God to change anything else in their lives. Of course, it doesn’t work and those people end up disappointed. Sometimes they even come to the conclusion that it wasn’t God’s will for them to prosper after all. But I can tell you today, from the Word of God and from personal experience: It is definitely God’s will for all of His children to prosper! Notice there, however, that John didn’t just say, “I desire (pray) for you to prosper.” He said, “I desire (pray) for you to prosper as your soul prospers.” He tied financial prosperity to the prosperity of your mind, will and emotions—your soul. God’s plan is for us to grow financially as we grow spiritually. He knows it is dangerous to put great wealth into the hands of someone who is too spiritually immature to handle it. 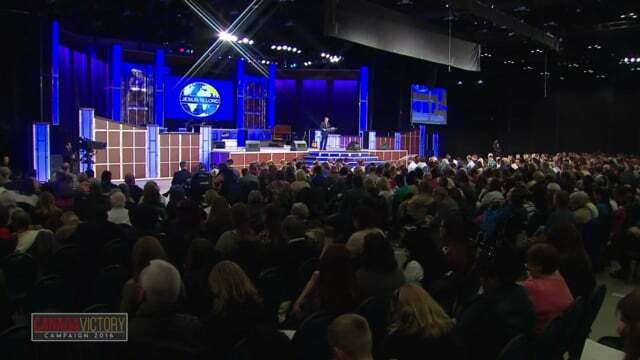 You can see dramatic evidence of that fact in the lives of people who have acquired financial riches through this world’s system, apart from God. In most cases, such riches just help people to die younger and in more misery than they would have if they’d been poorer. That’s because they use their wealth to sin in greater measure. They use it to buy all the cocaine they want and drink all the alcohol they want. They use it to pay for an immoral lifestyle that eventually destroys them. In light of that truth, it’s easy to see why God wants us to increase financially at the same rate we increase spiritually. He wants us to outgrow our fleshly foolishness so our prosperity will bring us blessing and not harm. Then get busy growing. Get busy building your foundation for prosperity. How? By finding out what God says in His Word and doing it. You see, the foundation of prosperity is a continual lifestyle built on the Word of God. It is doing whatever God tells you to do, thinking whatever He tells you to think, and saying whatever He tells you to say. I tell you, stop being perpetually uneasy (anxious and worried) about your life, what you shall eat or what you shall drink; or about your body, what you shall put on. Is not life greater [in quality] than food, and the body [far above and more excellent] than clothing? Look at the birds of the air; they neither sow nor reap nor gather into barns, and yet your heavenly Father keeps feeding them. Are you not worth much more than they? And who of you by worrying and being anxious can add one unit of measure (cubit) to his stature or to the span of his life? And why should you be anxious about clothes? Consider the lilies of the field and learn thoroughly how they grow; they neither toil nor spin. Yet I tell you, even Solomon in all his magnificence (excellence, dignity, and grace) was not arrayed like one of these. But if God so clothes the grass of the field, which today is alive and green and tomorrow is tossed into the furnace, will He not much more surely clothe you, O you of little faith? Therefore do not worry and be anxious, saying, What are we going to have to eat? or, What are we going to have to drink? or, What are we going to have to wear? For the Gentiles (heathen) wish for and crave and diligently seek after all these things, and your heavenly Father knows well that you need them all. But seek (aim at and strive after) first of all His kingdom and His righteousness (His way of doing and being right), and then all these things taken together will be given you besides (verses 25-33, The Amplified Bible). I remember back before Ken and I knew we could trust God to take care of us financially, I thought it was my job to worry about how we were going to pay our bills. I spent a great deal of my time thinking things like, What are we going to do about this light bill? How will we be able to make our car payment? To me it would have been irresponsible not to worry about such things! Then I found out it isn’t God’s will for us to worry. It is His will for us to believe Him to care for us. I also learned that as believers, we’re not to seek after material riches. We’re not to pursue money like people who are without God. They have to pursue it. They don’t have a covenant with God, so if they don’t seek material goods, they won’t get them! But we’re not like those people. We’re not in the world without God and without a covenant (Ephesians 2:12-13). We have God’s promise of provision. He has assured us in His Word that He will not only meet our needs, but give us an abundance. God’s part of the covenant is to prosper us—spirit, soul and body as well as financially. What is our part of the covenant? It’s not to seek after that prosperity. If we do that, we’ll get sidetracked. Our part of the covenant is to seek first His kingdom, His way of doing and being right! costs in the long run. It pays! You always put yourself in a position for increase when you seek after God and do things His way. I’ll be honest with you though, there will be times when you can’t see how that increase is going to come. Ken and I know about those times. We’ve been through them. When we saw in the Word of God that we were to “keep out of debt and owe no man anything, except to love one another…” (Romans 13:8, The Amplified Bible), we weren’t too excited about it. At that time in our lives, it looked to us like we’d never be able to do anything financially without borrowing money. We thought, How will we ever get a car? How will we get a home? How will we finance our ministry? We’re doomed! 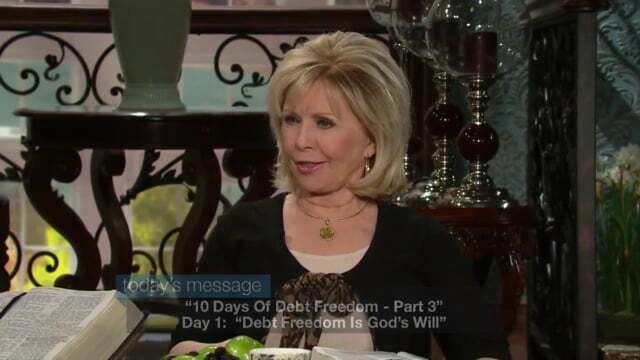 But we had already decided to obey God no matter what the cost, so we committed to Him to get out of debt and stay out even though we thought it would be to our disadvantage. Of course, that decision has since turned out to be one of the wisest financial decisions we’ve ever made. That’s the way it always is. Obeying God always works to your advantage in the end! 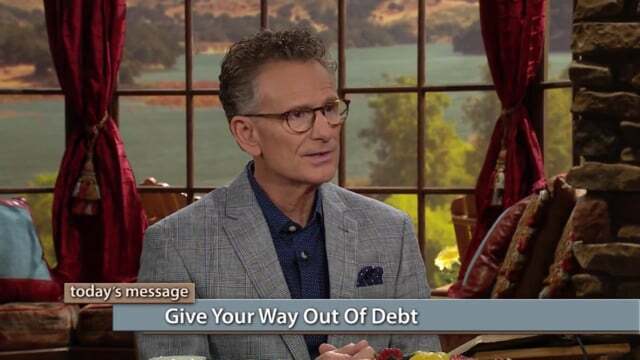 It’s easy to see how following God’s instructions to get out of debt affected our prosperity. But the fact is, our decision to obey other, seemingly unrelated commands we saw in the Word also had an impact on our finances. That’s because you can’t separate God’s financial principles from the rest of His principles. They all work together. So you have to take the whole Bible to have a good foundation for godly prosperity. Finally, all [of you] should be of one and the same mind (united in spirit), sympathizing [with one another], loving [each other] as brethren [of one household], compassionate and courteous (tender-hearted and humble). Never return evil for evil or insult for insult (scolding, tongue-lashing, berating), but on the contrary blessing [praying for their welfare, happiness, and protection, and truly pitying and loving them]. For know that to this you have been called, that you may yourselves inherit a blessing…. For let him who wants to enjoy life and see good days…keep his tongue free from evil and his lips from guile (treachery, deceit). Let him turn away from wickedness and shun it, and let him do right (verses 8-11, The Amplified Bible). Think of it this way. Every right action you take, every godly decision you make, every time you go love’s way instead of the selfish way, you’re putting another block on your foundation of prosperity. When you pray for your enemies instead of hating them, you become a candidate for increase. 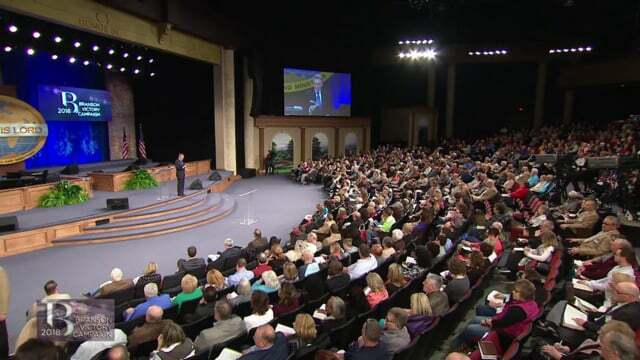 When you turn away from immorality, you’re turning toward blessing. 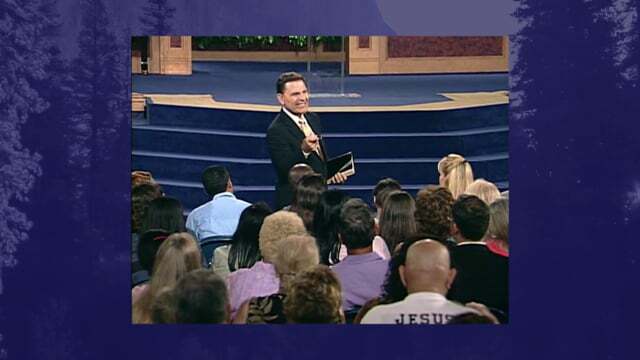 When you see things in your life that you know aren’t right and you correct them according to the Word of God, you’re preparing yourself to handle greater financial abundance. The book of Proverbs is full of God’s wisdom about everyday things and decisions. It will help you learn how to handle your affairs in a way that is pleasing to God. And since it has 31 chapters, by reading a chapter a day along with your other Bible reading, you can finish it in just a month. It will increase you to read Proverbs over and over. Luke 16:10 says, “He who is faithful in a very little [thing] is faithful also in much, and he who is dishonest and unjust in a very little [thing] is dishonest and unjust also in much”(The Amplified Bible). So if you want to be trusted with more and be promoted to a better job, be faithful and honest in the job you have right now. You may think Christian people don’t need to hear about honesty and faithfulness, but they do. I know personally of cases where Christians have stolen money from their employers. They may not have intended to “steal” anything. They may have just thought, Well, I’ll borrow this money for a couple of weeks and then I’ll put it back and no harm will be done. The problem is, you can’t borrow something from someone without their permission. That’s stealing and you can’t be blessed and steal. Taking that money may have seemed all right to those people when they did it. They may have made excuses and justified it in their own minds. But if they’d been studying and obeying the Word of God, they wouldn’t have fallen for those excuses. That’s because the Word discerns the thoughts and intents of the heart (Hebrews 4:12). It teaches you what is right and what isn’t. It reveals not man’s way, but God’s way of doing and being right. It enables you to lay a firm foundation for godly prosperity. With that foundation laid, you’ll be ready to step out in faith and receive the abundance God has in store for you. Many people who have lived godly lives have failed to do that, so they’ve missed out on God’s financial blessings. 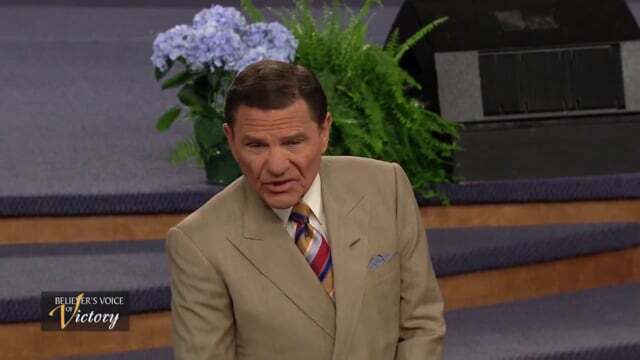 Although they’ve continually applied the principles of God’s Word and become prime candidates for great prosperity, they’ve unwittingly passed it by because religious tradition has taught them that God wants them in poverty. Christians like that have great wealth in their spiritual bank accounts, but because they don’t realize it’s there, they never tap into it! Don’t let that happen to you. Don’t just build the foundation for prosperity and stop there. Go on and build the whole house. Dare to believe that if you’ll seek first God’s kingdom, His way of doing and being right, all other things (the food, the clothes, the cars, the houses, everything!) will be added to you as well. Build your foundation, then dare to believe—and you will surely prosper! Taken from minibook by Gloria Copeland, Build Your Financial Foundation. 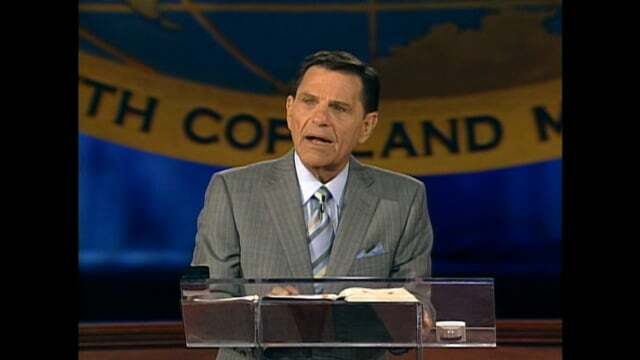 © 1995 Eagle Mountain International Church Inc. aka Kenneth Copeland Ministries.